The Longford native has a 40% stake in Castlethorn Construction, one of the largest developers in the state, whose assets include the Dundrum Town Centre and a site earmarked for an expansion of it. It is also behind the Adamstown development near Lucan and has plans for a major development at Woodbrook in Shankill. The remainder of the company is owned by the family of the late Liam Maye and builder John Fitzsimons. Castlethorn's auditors, BDO Simpson Xavier, recently said there was uncertainty over the precise carrying value of Castlethorn's assets because of economic developments. Castlethorn's accounts were not qualified. Accounts for the Woodbrook site and a site at Shanganagh show a shareholders' deficit of more than €17m on 30 June 2007, up from less than €500,000 the previous year. During the year Castlethorn provided management services worth more than €5.9m to the company. The Carlow-born developer has substantial property interests in Dublin 4, including the former Jurys Doyle and Berkeley Court hotels, which he bought for nearly €380m and now runs as D4 Hotels after planning permission for a major redevelopment of the seven-acre site was refused by An Bord Pleanála. Dunne also owns an office building called Hume House, over which he is involved in a legal case with property advisers CBRE, and the Donnybrook Mall which he is planning to redevelop. He owns offices and land at AIB's headquarters in Ballsbridge and land in Rathfarnham. Dunne owns a large number of companies, one of which, DCD Builders, had an emphasis of matter inserted in its accounts for the year ended 31 July 2007 by KPMG, which said the financial statements had been "prepared on a going concern basis, the validity of which depends on continuing financial support, which will enable the group and company to realise amounts for its property-related assets in excess of their carrying value". During the year it made a loss of more than €14.5m, reducing shareholders' funds to just under €27.7m. Net debt stood at more than €418m at the end of the financial year. A regular in Doheny & Nesbitt's pub at Baggot Street in Dublin 2, Dunne is one of the few developers who will be largely unaffected by the introduction of the National Asset Management Agency, as most of his borrowings were done with Ulster Bank, which is owned by RBS and is therefore covered by the British government's asset-protection scheme. Kelly told the Commercial Court in March he was thinking of entering bankruptcy proceedings as his liabilities exceeded his assets. Kelly's relationship with the banks has become increasingly fraught. In a recent interview he launched a ferocious attack on them, saying: "The banks are being bailed out and they are putting the boot in left, right and centre. They're not lending and they are getting away with telling lies." Kelly claimed he was hounded by the banks during the boom years and is now being hounded for different reasons. Several judgements have been registered against Kelly that could remove him from the property game permanently. Anglo Irish, a key lender to Kelly, has stopped the developer availing of some credit facilities, but it is understood the bank recently extended additional credit lines to the developer . Clare man McNamara has been a less frequent visitor to the courts in the past six months than either Carroll or Kelly. His chief company, Michael McNamara and Company, has unlimited status so it does not have to disclose its financial position publicly. However McNamara is likely to be seriously under water in terms of the valuation of his Burlington Hotel site, although he has sought to have the site rezoned. McNamara, a resident of Ailesbury Road, was once believed to be worth almost €240m, but his wealth will have shrunk massively in the downturn. The developer, a significant borrower with Anglo Irish Bank, is still getting support from that institution and Bank of Ireland, according to accounts for his companies. But in a reflection of straitened times for developers, McNamara's companies have been hit with a litany of "emphasis of matter" warnings by their own auditors. One firm, Hannamie, recently said directors were having difficulty verifying the carrying value of property-related assets in the context of "current market conditions". Another key McNamara project, the South Wharf site at Poolbeg, is also likely to have plummeted in value. 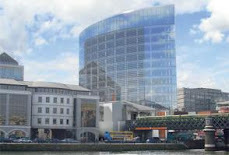 Anglo Irish recently took additional security on its €293m loan to Becbay, the company owned by the Dublin Docklands Development Authority, McNamara and Derek Quinlan, which paid €411m for the site. McNamara was a member of the Léargas consortium that was scheduled to build Thornton Hall prison, but the government said the price quoted was prohibitive and it is to be re-tendered. McNamara's group said they had put three years of "work and expense" into the project. The Dublin Airport Authority (DAA) is appealing against planning permission recently granted for a privately owned car park, claiming that parking is already at full capacity. Michael Cotter's Park Developments was recently given permission by Fingal County Council to build a car park with 1,200 spaces on the site of the Cloghran stud farm, north of the airport. However, the DAA says parking at the airport will already be at full capacity if its jointly-owned facility at Ballystruan goes ahead. When the development of Terminal 2 was being considered, long-term parking at Dublin Airport was capped at 26,800 spaces and the DAA claims that giving both developments the go-ahead will breach this cap. The Ballystruan development is a joint project between the DAA and Gerry Gannon and is also currently the subject of an appeal. This development was also limited to 1,200 spaces. However, the developers are seeking to have this increased substantially on appeal. A DAA spokesman denied the authority is attempting to dominate long-term parking at the airport. "We currently have a live application in train for a long-term car park... If this were also approved, the cap would be breached," he said. The DAA, led by chief executive Declan Collier, is heavily dependent on car-parking revenues. Park Developments is also appealing the decision to give planning to its car park and is seeking to have development contributions reduced from €9.15m to less than €8,000. When granting permission, the council included two multi-million euro contribution levies – €3.8m under the Development Contribution Scheme and €5.35m to go towards the part funding of the Metro North. However, Park Developments claims the levies are grossly incorrect and is asking to have them dramatically reduced. In its submission to An Bord Pleanála, Park Developments argues the development-contribution levy applies solely to buildings and does not include open-air car-park facilities. As the only building proposed for the site is a 72sq m control office, the company argues, the contribution set by the council should have been just €7,992. In addition, the submission argues the €5.35m levy applied in support of Metro North should be reduced to nothing. The levy applies to infrastructure in the vicinity of the Metro which will benefit from its scheme. However, Park Developments claims because customers will be driving to the car park, they will not use or benefit from the Metro, so the levy is not applicable. TRINITY College Dublin is set to expand into Temple Bar and renovate buildings on Anglesea Street and Foster Place in order to build a new bar and restaurant. The former Allied Irish Bank premises is set to be revamped from a banking hall into a trendy bar which will span two floors. The entire development will stretch across seven buildings. Also included in the extensive plans are proposals for a retail outlet on ground-floor level. college said: "Planning permission is being sought to upgrade the entire property to accommodate improved educational facilities and comply with current building regulations and accessibility standards." The upper levels of the buildings will be overhauled and extended to provide academic accommodation – a mixture of teaching rooms, study rooms and offices for the faculty of arts (humanities) and social sciences. The work will require the removal of 200-year-old banking vaults. Four of the buildings are listed as protected structures. The body, which represents businesses in Temple Bar, Traders in the Area Supporting the Cultural Quarter (TASCQ), will discuss the scheme in its next sub-committee meeting. "We are not anti-development in any sense, but we will look over the proposals when we get them," said Martin Harte, executive manager of TASCQ. "In general, the area of development in question is an important gateway to Temple Bar and we usually support plans for advancement of the area." Local publican and owner of The Bank on College Green Charlie Chawke said that while he thought the area had enough bars, he was in support of any progress which enhanced the area for tourists and locals alike. "If they get through the rigorous work such a project demands it will be a good move for the area. The buildings themselves are very beautiful and it will be interesting to see what happens," he said. It is understood the redesign of the premises has been prepared by Moloney O'Beirne architects. A NUMBER of different government agencies are set to take opposing sides of a bitter High Court battle over a controversial €317m Galway city motorway. A judicial review of An Bord Pleanála's decision to approve part of the Galway city outer bypass will be heard in the High Court's Commercial Court from Tuesday. Environmentalist Peter Sweetman is taking a case against the state and An Bord Pleanála. Environmental group Hands Across the Corrib of Ballinafoyle, Co Galway, claims that a decision by An Bord Pleanála to approve part of the massive project was based on a flawed environmental impact assessment. The National Park and Wildlife Service (NPWS) and the Department of the Environment have joined with objectors such as Sweetman and Hands Across the Corrib in the case against An Bord Pleanála, which in turn has the support of the National Roads Authority and Galway County Council. The NPWS and the Department of the Environment, which will be represented by the attorney general, is arguing that the decision by An Bord Pleanála may contravene an EU habitat directive. Galway TD Frank Fahey, who is the chair of the Oireachtas Transport Committee, has called for co-operation and mediation between the opposing government agencies on the issue as he believes a protracted court battle could jeopardise the future of the controversial project. Fahey said: "That government agencies are opposing each other in a High Court case in this way is ludicrous. "The relevant agencies should come together to discuss the potential contraventions to the habitat directive, with the viewpoint to reaching a compromise that would allow this vital infrastructural project to proceed. "The Galway City outer bypass is crucial for the development of the city and the delay to its development has already proved damaging for the city." A FATHER of five who fought a compulsory purchase order on his land has been left with a €40,000 bill which he claims the National Roads Authority had said it would pay. Tadhg O'Scannail (50) from Gorey, Co Wexford, decided to fight the NRA's bid to secure part of his land under a Compulsory Purchase Order (CPO) for a controversial motorway truck stop in the area. He claims he was told his costs for an engineer and a solicitor would be covered by the NRA in the event of any effort to block the CPO. But the NRA says it never made any such promise and that in the end his land wasn't even wanted. "I am a self-employed plumber," O'Scannail said. "My wife is a nurse who has been hit by all these levies. I don't have a penny and I have three kids in school, one doing the Junior Cert and one starting first year next year. "It's taken me 10 years to get the house the way it is and it's still not finished. My property is devalued by the economic climate anyway and who is going to buy a house beside a service area? "This was supposed to be my pension and security for my children but now we are stuck behind a truck stop." According to O'Scannail, the NRA told him his costs would be covered, or partly covered, in the event that his land became the subject of a CPO. He incurred various costs including €25,000 for an engineer, €11,000 for a sound engineer, and €5,000 for a barrister to represent him at an oral hearing. However, the NRA later notified him that a CPO would not be required on his land following a reassessment of the project. "I have been told nothing. We had to make a passionate plea to the inspector in An Bord Pleanála to ask if he would make a recommendation to cover the costs. They are under no legal requirement to do so," said O'Scannail. "My whole problem is the unfair manner in which we have been dealt with. [The NRA] have misrepresented themselves on a number of occasions. But the NRA says any decision to incur costs before the official CPO process was initiated was "his responsibility". Its spokesman said that a 'notice to treat', which makes the CPO process official, was never furnished and that the decision not to take the land was communicated as soon as they knew. WORK BY the Solitaire ship on laying the offshore pipeline began yesterday in Broadhaven Bay as there were more calls for political leadership and legal clarification on the issues involved. The Department of Transport confirmed last night that no order had been issued for a 500-metre exclusion zone around the Solitaire. It has issued only one marine notice on work in the bay, which makes no reference to an exclusion zone. Gardaí have said they are policing an exclusion zone “passed by the department”. Earlier, the Erris Inshore Fishermen’s Association (EIFA), which has a legal agreement with Shell to facilitate the work, said it was “gravely concerned” at the Government’s refusal to clarify the legal situation. “It is not good enough for a legislative authority to refuse to take responsibility for this project once again, as it has done from day one,” EIFA chairman Eddie Diver told The Irish Times. He was commenting on Thursday’s arrest of fishermen Pat and Jonathan O’Donnell, who had been out on the water watching their fishing gear hours before the arrival of the Solitaire. Both fishermen’s boats have been detained indefinitely by gardaí under the Maritime Safety Act. The 300m ship, which has a crew of 420 when at full complement, was escorted into the bay late on Thursday night amid heavy security on land and on water. Two naval patrol ships, the LE Orla and LE Emer, are assisting the Garda, with inflatable vessels provided by the Naval Service, Garda Water Unit and Shell’s security company, Integrated Risk Management Services (IRMS). Five Shell to Sea kayakers, among a small group of less than 50 at the Rossport Solidarity Camp, came within 100m of the vessel late on Thursday night. The five were apprehended by IRMS, but no arrests were made. The EIFA, which has not been party to any protests on water, said the “refusal by the Government to clarify a situation of conflicting rights – a constitutional right to fish for those licensed to do so, and a temporary foreshore licence for a private company – has resulted in one young man being kept in Castlerea prison, one boat has sunk, two boats are detained, and the Garda and Naval Service have been put in an impossible position”. The O’Donnells are among a minority of EIFA members who declined to accept compensation from Shell for temporary loss of livelihood during pipelaying due to their concern over the impact of the Corrib gas refinery discharge pipe on the marine environment. Community groups Pobal Chill Chomáin and Pobal Le Chéile, which are not party to any protests on water condemned the arrests. Spokesmen for the groups, Vincent McGrath of the Rossport Five and Ciarán Ó Murchú, ex-Air Corps pilot and managing director of Coláiste Uisce, warned that “intervention is required . . . before this situation seriously deteriorates and this development results in serious injury or death”. AUTHOR Niall Williams says he will be forced to move from his west Clare home if a planned 120m (395ft) high wind farm is built just more than 500m from his property. The author of seven novels, Williams has lodged an appeal with An Bord Pleanála against a Clare County Council decision to grant planning permission to Aonghus Coughlan for a two-turbine wind- farm. The Dubliner and his wife, Christine Breen, moved to Ms Breen’s ancestral family home in the isolated village of Kiltumper, near Kilmihil, in 1985 to write. In their objection lodged with the council, Williams said the “flashing” effect caused by the rotating blades of the wind turbines, when the sun was shining, would have a nauseating, disorientating effect because of a particular eye condition he had. 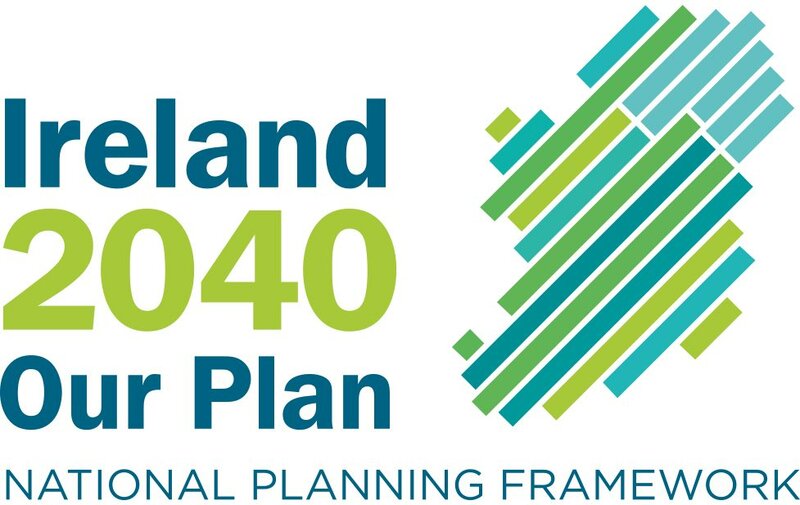 But letters of support for the plan have been lodged by local organisations including Kilmihil GAA Club, Kilmihil soccer club and Kilmihil farmers’ association. The council rejected the Williams’s arguments and gave the the plan the go-ahead, stating it would not seriously injure the amenities of the area. A decision is due on the appeal later this year. Meanwhile, plans for a separate €50 million wind farm near the Co Clare village of Lissycasey are being threatened by a claim to turf-cutting rights going back generations. Last month, ESB subsidiary Hibernian Windpower lodged plans for an 11-turbine wind farm at Boolneagleragh in the region. SHELL EP Ireland yesterday defended the ongoing security operation at its Corrib gas sites in north Mayo on the final day of a Bord Pleanála hearing into the development. Shell also revealed that the Environmental Protection Agency this week categorised an application by the company for a modification of the project’s Integrated Pollution Prevention and Control Licence – to fulfil an agreement with the Erris Inshore Fishermen’s Association about discharge to Broadhaven Bay – as “a license review” rather than “a technical amendment”. In a closing statement to the board hearing into Shell’s modified pipeline route, Esmonde Keane, counsel for the company, observed that the “current pipeline application must be seen in the context of the developments which it serves and its strategic importance”. He said that the large security presence was justified in light of threats to Shell personnel. He cited the various permissions and consents and noted that “no other development proposal has been subject to such an amount of study and surveys over such a period of time”. Responding to “inaccuracies” in other submissions, Mr Keane argued that all of “the development which has or is currently being carried out has been properly assessed and is in compliance with all national and European legislation”. Addressing the alternative onshore proposal for a terminal at the remote Glinsk site, Mr Keane said “not only would the landfall at Glinsk involve tunnelling through significant cliffs but the corridor commencing at Glinsk would traverse the Glenamoy Bog Complex for approximately 5.5km and would involve impacting on extensive areas of undisturbed blanket bog”. Earlier, in her closing remarks, Maura Harrington of Shell to Sea dismissed the Department of Energy’s contention that the Corrib gas was intrinsic to the country’s future “security of supply”. She said: “In his evidence to the hearing Mr Stuart Basford confirmed that the maximum flow rate of Corrib (350 million standard cubic feet per day) would only last to Year Three. “Mr Basford further confirmed that, given the country’s current energy requirements, even the maximum flow rate in the first three years would not provide 60 per cent of these energy needs,” said Ms Harrington. A decision is expected around August. WITH IRISH architects losing their jobs week after week, it’s heartening to find that some of their best work is winning international recognition. Latest is a 2009 Green Good Design Award for Dublin City Council’s York Street housing scheme, designed by Seán Harrington Architects. This design accolade is awarded jointly by the European Centre for Architecture, Art, Design and Urban Studies and the Chicago Athenaeum. Hundreds of submissions were received from over 40 countries, and the winners will be exhibited next month in Athens. York Street incorporates many sustainable design features, including energy-efficient heating systems using solar panels, glazed “winter garden” balconies, high levels of insulation, “green sedum roofs” and rainwater harvesting to irrigate the residents’ courtyard garden. Meanwhile, the Seán O’Casey Community Centre in Dublin’s Docklands by O’Donnell + Tuomey Architects, is one of six schemes shortlisted for the Royal Institute of British Architects’ (RIBA) Lubetkin Prize, which is awarded for the best international scheme by institute members. It’s up against competition from three Olympic projects in Beijing – the National Stadium by Herzog de Meuron, Beijing International Airport by Foster + Partners and the Watercube National Swimming Centre by PTW Architects – as well as the British High Commission in Colombo by Richard Murphy and Museum Brandhorst in Munich by Sauerbuch Hutton. The Lubetkin Prize is named in honour of Georgia-born architect Berthold Lubetkin (1901-1990), who worked in Paris before coming to London in the 1930s to establish the influential Tecton Group. It is awarded for the most outstanding building outside the EU by an RIBA member and is chosen from winners of RIBA international awards. The developers had proposed to wrap the building in what was described as “an external woven mesh screen that unifies the building and gives it an abstract quality”. This was intended to reduce the glare and solar gain associated with the east and west façades. The mesh was also to wrap over the top of the building to screen a plant area at roof level. The new development was to have 8,636sq m (92,957sq ft) to accommodate 450 workers. The layout provided for a café at ground floor level. An Taisce said it was seriously concerned about the impact of the proposed building which appeared significantly larger than the dome on the Four Courts “which is a pre-eminently important building and is one of the images of Dublin”. The inspector from An Bord Pleanála said he found the proposed building to be “insensitively large in scale, poorly proportioned, less than elegant, even threatening and with the proposed use of the mesh rather gimmicky”. Some of the walls and trees at St Patrick’s teacher training college in Drumcondra, Dublin, will be knocked down as part of ‘enabling works’ for the Metro North project. The works will also include the building of a ventilation shaft for the rail project near to a children’s playground. The Railway Procurement Agency (RPA) is seeking tenders for the work, which includes the relocation of a grass recreational area and the reinforcement of walls. The preferred route for the 18-kilometre Metro North - due to be built between Swords and St Stephen’s Green in the city centre - runs along the west side of the grounds of the training college. The RPA has been in discussions with the management of the college and specified that contractors would seek to minimise disruption during any works. The works - including the building of the 25-metre deep ventilation shaft for the underground line - are expected to take about six months to complete. ‘‘The area would be sealed off and made safe during and after the construction works. We have worked very closely with college management on these plans,” said an RPA spokesman. He said that tenders had been sought for a number of works - including the removal and relocation of the Daniel O’Connell statue on O’Connell Street - even though a decision will not be made on a railway order for the Metro North until September. This means that work could start immediately if the order is granted for the multi-billion euro transport system. An oral hearing on the Metro North project went into recess in May, and is expected to restart soon. When it is complete, An Bord Pleanála will make a decision on the railway order, but enabling works cannot begin for a further two months to allow for judicial review. Separately, the RPA has also invited tenders for the management and operation of all Luas park-and-ride facilities, including at least two new facilities that will be built for the extensions of the two tram lines. One of these will be in Cheeverstown - for the Luas Red line extension to Saggart - and will have 300 spaces. The location of a facility for the extension of the Green line to Cherrywood is still being decided. ARDAGH HOUSE and Demesne – a 19th century house on 227 acres in Ardagh, Co Longford – is back on the market with a 35 per cent price cut to €3.25 million. The property, owned by the Sisters of Mercy, was sold at auction in autumn 2007 for €5.25 million but the sale fell through. It was relaunched last September with a guide of €5 million. The house, in the centre of the cut-stone estate village – believed to be the setting for Oliver Goldsmith’s play She Stoops to Conquer – was bought by the order in 1927 and run as a home economics college until last year, when the nuns moved to Ballinasloe. The 1,161sq m (12,500sq ft) building, a protected structure in an architectural conservation area, is suitable for institutional use, but would need a lot of refurbishment according to selling agent Paddy Jordan. Accommodation in the two-storey over basement house includes four main reception rooms, 16 bedrooms and in a later addition, a gym and 16 more bedrooms. There are a number of limestone outbuildings. The 227-acre farm is likely to be of interest as agricultural rather than development land, although part of it is zoned residential. The dairy farm comes with a 75,749 gallon milk quota. Asked whether the proceeds of the sale would now go to the Government for child abuse victims, a spokesman for the Sisters of Mercy said that the issue of further contributions is still being discussed. It is believed that no specific properties are up for negotiation. THE IRISH Property Unit Trust (IPUT) has failed in its latest attempt to secure permission to demolish a three-storey office building at 10-12 Lansdowne Road in Ballsbridge, Dublin 4, and replace it with a six-storey block with more than double the floor space. An Bord Pleanála decided against accepting a recommendation from one of its inspectors that permission should be granted for the redevelopment provided the proposed fourth floor was omitted. The board did not accept that the proximity to the adjoining nine-storey Lansdowne House justified a building of the height and design proposed. The board also concluded that the proposed development would seriously injure the amenity of adjoining residential property, including the protected structures on Lansdowne Road. It said that the proposed development, by reason of its design, height, materials and footprint (including its locations forward of the established building line of the adjoining protected structures) would result in an incongruous addition to the streetscape which would seriously and adversely affect the setting of the adjoining protected structures. The board’s decision was at variance with the views of its inspector who carried out a comprehensive appraisal of the planning issues. He said that, having regard to the existing use of the site and the fact that the design of the new building would retain the character of the area and protect the residential amenity of neighbouring properties, it was considered that, subject to a number of conditions, the proposed development complied with the approved development plan for the area and was in accordance with the proper planning and sustainable development of the area. The building has net floor space of 1,460sq m (15,715sq ft) and, if redeveloped, the space would grow to 4,677sq m (50,343sq ft). A lower basement car-park was to have provided 15 car-parking spaces. THE BEACON Medical Group has welcomed the decision by An Bord Pleanála to grant planning permission for a €250 million co-located hospital in the grounds of Cork University Hospital and has expressed confidence that the hospital will be completed by 2012. The board of An Bord Pleanála overruled the decision of its own inspector who, following a three- day oral hearing last September, recommended refusal of planning permission for the new two- to five-storey 33,000 square metre hospital on the northeast corner of the CUH campus. The board ruled that revised road proposals adequately addressed concerns expressed by the inspector in relation to traffic safety, while a minor relocation of the building southwards would ensure it did not have an unduly negative impact on nearby houses. It made it a condition of planning that the hospital would not become operational until the Bishopstown Road roundabout had been converted to a signal controlled junction and the entrance to CUH and the new co-located hospital moved some 90 metres to the west. Beacon chief executive Michael Cullen welcomed the decision by An Bord Pleanála and said the new hospital would greatly benefit the health and wellbeing of the people of Cork while providing significant economic benefit by employing some 500 staff. The new hospital will comprise 175 single rooms with eight critical-care unit beds, six theatres, ambulatory surgery and full diagnostics incorporating almost €26 million worth of new generation equipment and will cater for public and private patients. It will cater for 11,000 inpatients, 20,000 day patients and 12,000 surgeries a year. “We will spend the next four to six months securing finance and doing detailed designs and we hope to be in a position to start construction work on the hospital either late this year or early next year,” Mr Cullen said. He expressed confidence the group would secure about €800 million in funding for its Cork project and its two other similar projects in Limerick and Beaumont, although he conceded that financing may involve a greater number of banks than originally planned. BMG is not buying the site on which the proposed hospital is being built and legal agreements have yet to be finalised with the HSE and the Department of Health for the facility. Local residents had opposed the project. Eamon Cashell, chairman of the Laburnum/Wilton Residents’ Association, said yesterday that residents in the area were outraged at the fact that An Bord Pleanála had ignored its own inspector’s views. “The hospital isn’t built yet and we haven’t thrown in the towel,” he said, adding that the residents were considering all their options including seeking legal advice. HAZARDOUS WASTE material generated by up to three incinerators operating around Ireland is expected to be dealt with at a landfill site in the “greater Dublin area”, it emerged yesterday. The landfill site will accept hazardous “fly ash” generated through the incineration process. Fly ash matter makes up about 7 per cent of all ash residual material created as a result of incinerated waste. Because of its toxic nature, the fly ash will be disposed of in an airtight cell buried underground at the location of an existing landfill facility in Leinster, according to Indaver Ireland. The landfill operator, which has not been identified, is in “advance stage” talks with Indaver Ireland – which is currently constructing a €130 million incinerator at Carranstown, Co Meath – to negotiate a deal to accept hazardous waste material from incinerators operating around Ireland. Director of Indaver Ireland John Ahern said the landfill operator would be in Leinster, where it was geographically predisposed to accept hazardous waste from incinerators at Poolbeg in Dublin, Carranstown and a third proposed toxic waste facility currently planned for Ringaskiddy, Co Cork. At An Bord Pleanála’s hearing yesterday into the proposed Cork facility, Mr Ahern said the landfill operator would deal with the fly ash in accordance with Environmental Protection Agency (EPA) recommendations. “We are at advance stage talks with one particular landfill operator with a view to sending hazardous waste material there to be disposed of. “The operator will deal with this material in the way the EPA has advised by constructing a designated cell for hazardous waste,” Mr Ahern said. A spokesman for Indaver Ireland confirmed that the company had been approached among others by two landfill operators in the “greater Dublin area” interested in partnering with Indaver to provide a hazardous waste landfill. The landfill site in question will need to be modified in order to accept hazardous waste, which requires a “particular form of treatment”, according to the spokesman. The greater Dublin area takes in Wicklow, Meath and Kildare, but Indaver Ireland did not reveal the identities of two landfill companies with which it is in talks other than to specify that the hazardous waste material would be transported to Leinster to be disposed of if licensing is granted. The Environmental Protection Agency is currently seeking tenders from companies to develop a National Difficult Waste Management Facility to deal with up to 100,000 tonnes of hazardous waste landfill per annum. The waste anticipated to be dealt with by the successful company would “be generally deemed not suitable for disposal by waste incineration or export”, according to the EPA guidelines for prospective tenders. In information issued to prospective companies interested in the tender process, the EPA states: “The National Hazardous Waste Management Plan recommended that at least one hazardous waste landfill should be developed in Ireland, capable of accepting the wide range of hazardous wastes that would otherwise be exported for landfill. Meanwhile private consultant engineer Alan Watson, director of Public Interest Consultants, told the hearing into the Cork incinerator yesterday that ash produced from the incineration process should be classified as hazardous. His report is based on the production of “bottom ash” at the facility, which makes up about 70 per cent of the waste matter generated through incineration. WEXFORD OPERA House, Thomond Park in Limerick and two ground-breaking social housing schemes in Dublin’s inner city are among the 35 projects shortlisted for this year’s Irish Architecture Awards. Announced yesterday by the Royal Institute of the Architects of Ireland (RIAI), the list also includes major public projects such as the Midland Regional Hospital in Tullamore, Co Offaly, as well as nine individual houses and three domestic extensions. At a time when many architects have been made redundant by the collapse of Ireland’s construction industry, RIAI director John Graby said it was heartening that so many projects – 225 in all – had been submitted and that the quality of those that made the cut was so high. The two shortlisted social housing schemes, both commissioned by Dublin City Council, are at York Street – designed by Seán Harrington Architects – and Timberyard, in the Coombe area of the Liberties, by multiple award-winning O’Donnell + Tuomey Architects. Seán Harrington Architects have also been shortlisted for the only public space scheme on the shortlist: the Tallaght Zip and Plaza, a dedicated promenade and cycleway designed to “zip” the old village and Square shopping centre together. Three education projects are included: A2 Architects’ Eurocampus in Clonskeagh, Dublin; Hazelwood School in Glasgow, which was designed for children with disabilities by GM+AD Architects; and the University of Ulster’s new Belfast campus by Todd Architects. Apart from the Midland Regional Hospital, jointly designed by Murray O’Laoire and Brian O’Connell Associates, public projects on the shortlist include the Heritage Council’s new headquarters in the former Bishop’s Palace, Kilkenny, by Office of Public Works (OPW) Architects. OPW Architects, in association with Keith Williams Architects, are certain to win an award for Wexford Opera House. Others in the running include O’Briain Beary for the new Garda station in Leixlip, Co Kildare, and A+D Wejchert for Irishtown Health Centre in Dublin. Apart from the new rugby stadium at Thomond Park, designed by Murray O’Laoire and AFL Architects, the list includes Ballyfermot Leisure Centre, by McGarry Ní Éanaigh, and the Light House Cinema in Smithfield by DTA Architects. The other shortlisted leisure projects are a spa and conference centre at the Hotel Europe in Killarney, Co Kerry, by Gottstein Architects; a swimming pool at St Michael’s House in Dublin by Michael Collins Associates; and a cafe-bar on Deal Pier in Kent by Niall McLaughlin Architects. Three restoration projects have made the list: St George’s Church on Hardwicke Place, Dublin (Joseph Doyle Architects); the Ulster Bank on O’Connell Street, Dublin (Consarc Design Group); and the library in Abbeyleix, Co Laois (de Blacam and Meagher Architects). De Blacam and Meagher have also been shortlisted for a beautiful villa on the Balearic island of Ibiza, while both FKL Architects and Odos Architects are in with a double chance of winning awards for two houses each, all unapologetically contemporary in design. Four other houses are on the list: Cody House in Co Kilkenny by Boyd Cody Architects; Domus House in Rathmines by Donaghy Dimond; Origami House in Co Antrim by Jane D Burnside; and Lake House in Co Kerry by Clancy Moore Architects, who have also been shortlisted for a new parish centre at the Church of St George and St Thomas on Cathal Brugha Street, Dublin. The architects shortlisted for domestic extensions are: McCullough Mulvin; Lid Architecture; and Catriona Duggan Achim Gottstein Architects. Only two commercial projects are included: Victoria Square shopping centre in Belfast by BDP; and Tesco’s “eco-store” in Tramore, Co Waterford, by Joseph Doyle Architects. The awards will be presented next Monday at the Cow Shed Theatre, Farmleigh, by Minister for the Environment John Gormley. This story on quarry planning, published when I was on Annual Leave, is necessary reading. Now, I know there's nothing worse than a holidaymaker coming into an area and passing judgment on locals who live there all year round and must earn their livelihood. But this quarry was so big, and its effect so monstrous, that I couldn't help wondering who had sanctioned it. We need quarries if we are to build houses, offices, railways, harbours and roads. But the environmental impact of quarrying can be enormous. Apart from the obvious scar on the landscape, there are issues of air pollution from the dust, noise pollution from blasting, complex water run-off issues, biodiversity issues and so on. However, the Cork-based group Friends of the Irish Environment has discovered something rather amazing - that Irish legislation set up to regulate quarries is unenforceable. Best practice in quarrying will ensure that the surrounding environment will suffer as little as possible from such effects, and also that quarry owners will restore sections they have finished with. However, the Cork-based group Friends of the Irish Environment has discovered something rather amazing - that Irish legislation set up to regulate quarries is unenforceable. Under the Planning Act of 2000, operating quarries were required to register with county councils to create a framework within which the industry could be environmentally regulated. Quarries bigger than five hectares, or those located in protected areas, were deemed to need planning permission. Taking public submissions into account, councils imposed a system of development contributions on quarries - not for esoteric tree-hugging purposes, but to cope with straightforward and obvious issues, like the damage done by heavy stone lorries to surrounding roads. ‘‘Enquiries (about enforcement) were made to the Department of Environment, Heritage and Local Government. The Department advised that conditions imposed under Section 261 of the Planning and Development Act 2000 were unenforceable because the Act did not provide a mechanism for pursuing legal proceedings for non-compliance." The letter added that the department was ‘‘considering how this anomaly might be addressed by amending legislation; unfortunately there was no timeframe provided for this''. So, just to be perfectly clear, quarry owners can behave pretty much how they want, because councils can do nothing to regulate them. It is down to the integrity of owners - or lack of it - as to whether quarries wreck the surrounding environment or not. As Tony Lowes of Friends of the Irish Environment notes: ‘‘Not only has the environment been damaged by this longstanding legislative failure and great hardships imposed on residents, but many millions in development levies can no longer be collected." Given the many planning debacles Ireland has witnessed over the years, it has not really occurred to us to consider where the material for all our new buildings and roads is coming from. But it is pretty shocking to learn that, unlike the construction industry, quarrying is barely regulated at all. I had a fascinating response to last week's article about quarrying, and the lack of regulation surrounding it. Readers from five different counties contacted me to illustrate cases that had directly affected them. Because I don't have the resources to investigate each one, I won't name names or locations. But your stories highlight a number of common factors. 1.Quarry ‘owners' have sometimes claimed rights to long-abandoned quarries that, historically, they had absolutely no connection with. There is a repetitive pattern of operators reactivating old quarries without asking anyone's permission and, after a period of time, simply claiming squatters' rights - even though they are not caretaking the land, but rather consuming it. 2.The owners of quarries surrounded by common land or turf plots have sometimes either consumed that land or taken possession of it, again by claiming squatters' rights, or by compensating some locals at a token rate and, in a sort of divide and-conquer strategy, steamrolling others who do not cooperate. Landowners have had to go to court to reclaim property approppriated in this manner. 3.When people go to their local council to complain about quarries, they are sometimes met with indifference, protestations of powerlessness (which was the point of last week's article), and in one or two cases, outright obstruction. Would it be unusual to find that a dodgy quarry owner also has a number of council contracts in his back pocket, for road or maintenance projects, for example? This is not necessarily to imply blanket collusion between craven councils and dodgy quarry owners; not all councils are craven, and not all quarry owners are dodgy. The extent of the abuse is hard to gauge - one case even alleged that a local council was using a quarry illegally. Whatever about their lack of powers under the Planning Act, I think it is fair enough to say that councils are reluctant to move against quarry owners who are in some way connected to them. I'd be very keen to hear from any one else who knows about illegal or semi-legal quarrying activity and my e-mail address is below. Friends of the Irish Environment must be credited with uncovering this story, but I suspect there's quite a lot to it. Under the Planning Act 2000, councils are plainly not able to regulate quarries - but I wonder how many Irish quarries are fly-by-night operations in the first place. Initially, my interest in this was that quarry owners seem under no obligation to repair any of the environmental damage that they've done, but this may be just one of the problems. It is also worth bearing in mind that many of the illegal rubbish dumps uncovered in the late 1990s were in abandoned quarries. If quarrying is as unregulated as it appears to be, is it unreasonable to assume that this filthy, dangerous activity might enjoy a renaissance? Especially during a recession, when everyone is trying to cut corners? Does anyone have any news about this? If so, get in touch. WIND energy use is growing but the potential for thousands of jobs and €14 billion investment in the sector has still not been tapped, it was claimed. Figures released yesterday from EirGrid – the state-owned electricity transmission operator – show that in recent months wind power has accounted for up to 40% of all energy on the system and wind energy connected to the power system has increased by more than 25% in the past year. The figures also show the amount of wind energy connected to the national grid has reached 1,077 megawatts and wind farms in Ireland now produce enough energy to supply approximately 700,000 homes around the country. Wind power dwarfs hydro and landfill gas generation in terms of energy provided. A new report by Deloitte, also published yesterday, shows huge potential for more jobs in the sector. The Deloitte report, Jobs and Investment in Irish Wind Energy, states that construction of wind energy projects on the island of Ireland will involve approximately €14.75bn of investment, €5.1bn of which could be retained in the Irish economy. That in turn can support in excess of 10,500 jobs through direct and indirect investment up to 2020. The report was launched to mark Global Wind Energy Day and was commissioned by the Irish Wind Energy Association (IWEA). The IWEA’s chief executive, Dr Michael Walsh, said new plans will be put in place to boost the sector, but warned of areas of concern, such as the likelihood that many projects will not be delivered if developers cannot be given guarantees that the grid will be delivered to their project on time. Ireland has set itself a progressive target of delivering 40% of energy consumption from renewable sources by 2020. However, Dr Walsh said: "While Ireland has established a number of initiatives to stimulate growth in the sector, grid availability, a stable financial framework and a shortage of experienced personnel and lack of awareness of opportunities in the sector are stunting the sector’s growth. "All of these issues need to be tackled, by industry and policy makers, to ensure the sector can continue to flourish in order to meet our targets and assist the Government with its recovery plan."